Samantha Sugden's boyfriend of 10 years told her he'd propose if she managed to bag a ticket to the Leicester band's Halifax gig. Two Kasabian fans will finally tie the knot thanks to the band. As reported by the Halifax Courier last month, Samantha Sugen (33) queued outside the Victoria Theatre hoping to score tickets to see the Eez-Eh rockers in the city, after Gavin Baron -her partner of ten years - said he'd propose if she was successful. After managing to get an agonising 15 people away from the top of the queue, Samatha failed to bag tickets for the show, which takes place on 23 March. 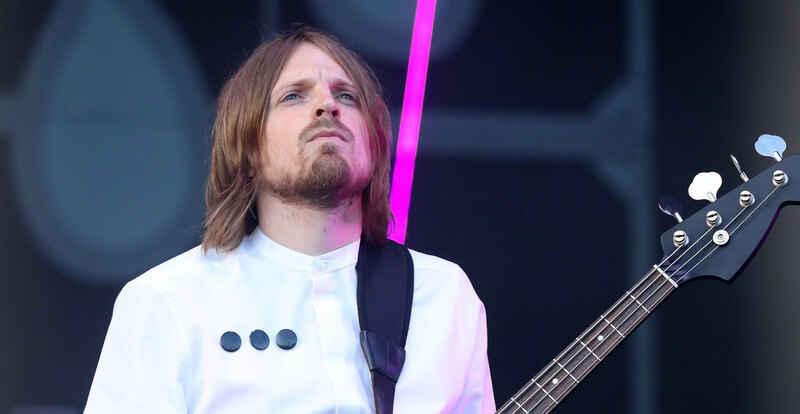 However, as The Sun reports, after hearing about the news, bassist Chris Edwards stepped in and offered the pair an invite on their guest list because it was "the right thing to do". "I watched the Courier video and saw how long the queues were," he told the outlet. "We were buzzing to see how many people are still so passionate about live music. "I thought it sounded a bit harsh at first, but he's got to go through with it now." Groom-to-be Gavin said: "I can't believe it. I thought it was wind-up to begin with. I love everything about Kasabian and I cannot wait for it now. "It was only meant to be a bit of a joke at first but I'm going to propose, yes. "I want to do it properly though and spend a bit of time saving for a nice ring. She deserves it." Meanwhile, Kasabian took home the prize for Best Indie at first ever The Global Awards. Tom Meighan, Serge Pizzorno and co. also gave an epic performance of their You're In Love With A Psycho and Fire singles, with the latter causing a glass to smash. Meanwhile, Tom and Serge told Radio X's Dan O'Connell in the winners room that things were "bubbling" with album number seven, and explained why every artist should aspire to be like Andrea Bocelli.